Accounting support from a Dallas, TX medical CPA firm that has a deep understanding of the inner workings of a dental practice is essential to the success of your business. At Mitul Mehta CPA PC, we are an indispensible asset to dentists because we’ve worked with many businesses just like yours. Our experience allows us to offer practice management solutions and practical financial advice suited to the unique needs of dentists and oral health care businesses. We can help you keep up with bookkeeping, compile reports, save on annual taxes, and, in the process, free up more time and energy to devote to your clients. We encourage you to take advantage of our medical practice accounting services and discover how your practice can decrease costs and increase profits. A free, strategy session is just a phone call away at (214) 746-5074. 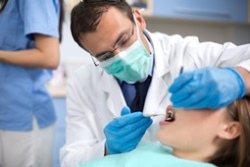 We work with all kinds of dental practices throughout the local Dallas area and nationwide. If you're tired of struggling to keep up with medical billing, turn to Mitul Mehta CPA PC. We can file claims and collect payments promptly to stabilize cash flow. Don’t take chances when it comes to your payroll. Late tax filings and miscalculations can mean big tax penalties for your practice but not when we process your payroll. Take advantage of our outsourced CFO and controller services to avoid the cost of hiring another employee and only pay for the services your practice really needs.